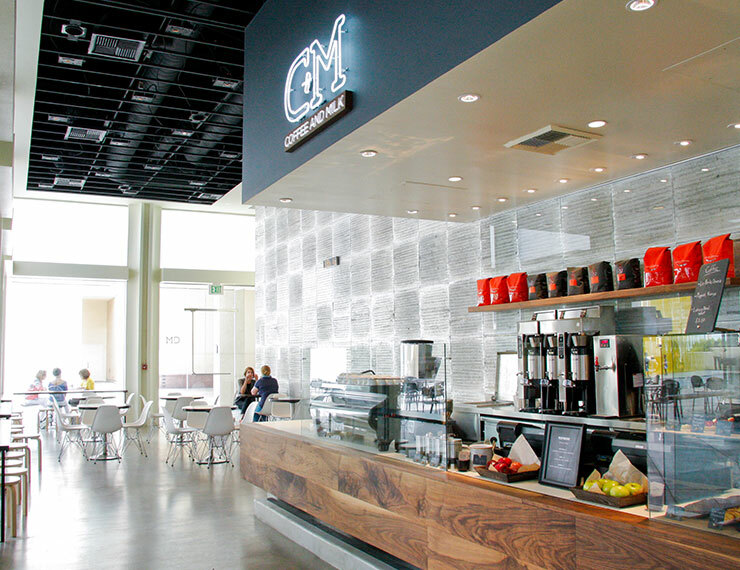 Conveniently located in the Westwood Gateway building, C+M (Coffee and Milk) is the perfect spot for a coffee break. We offer delicious Intelligentsia coffee and espresso drinks. We also serve freshly baked pastries, breakfast items, and seasonal sandwiches. 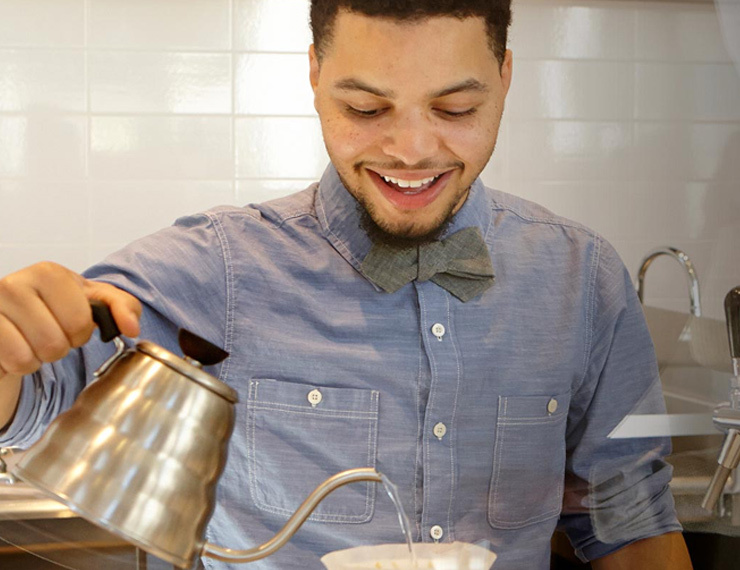 Our friendly and knowledgeable caffeine connoisseurs ensure that your cup of Joe is flawless with every visit. C+M Coffee and Milk at LACMA is a popular cafe serving Intelligentsia coffee and small bites, located next to Urban Lights by the La Brea Tar Pits.